After two weeks of high pressure, Eric Thomson and I decided it was time for our first big line of the year. Rocky Mountain National Park hadn’t seen any significant storms in weeks and down in Boulder it felt like early Spring. The previous weekend we were mountain biking in 70 degree weather. Apparently, Mother Nature decided to send all the powder to Japan or the Northeast this month leaving the West high and dry, but it could always be worse. 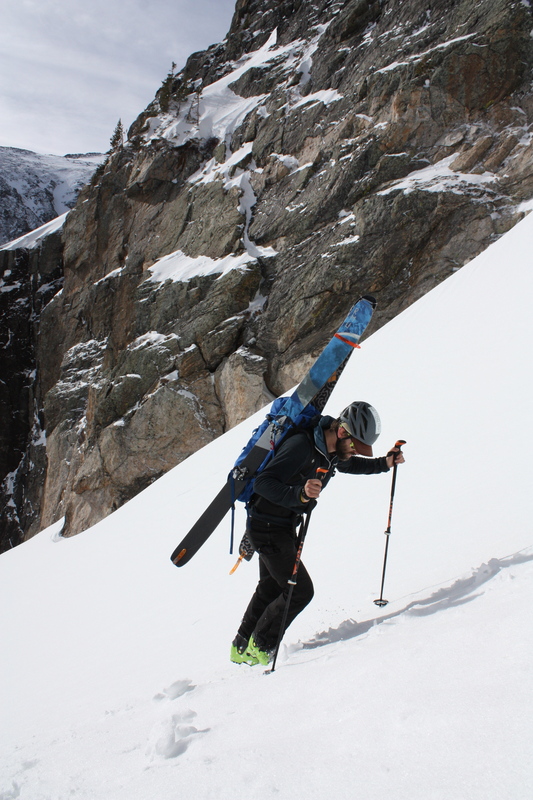 As you may notice above, Eric forgot his crampons and ice axe. Thankfully, it was perfect bootable snow all the way to the top. 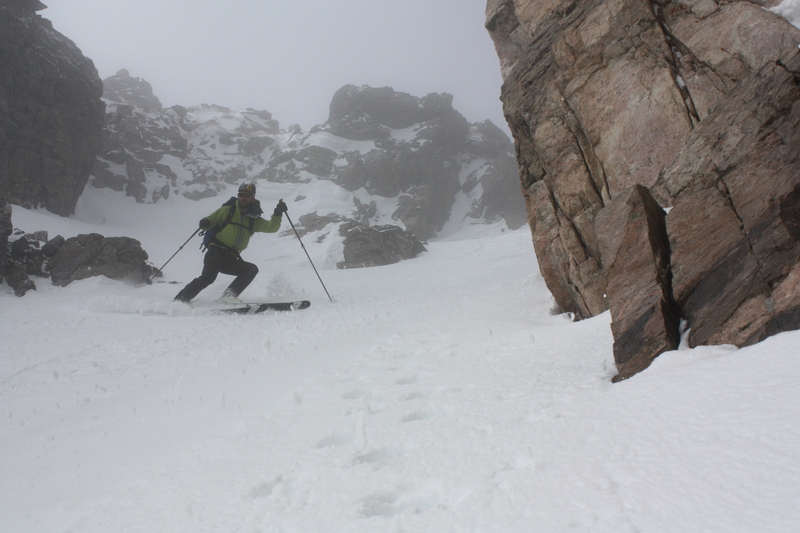 Eric skis firm snow thru the crux of the line. 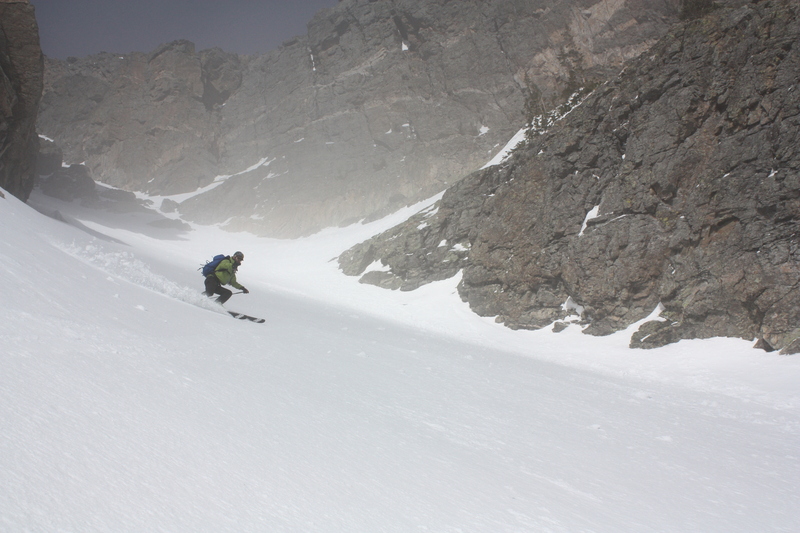 The upper 1/2 of the couloir was in the clouds, so we carefully skied down some firm snow. Once we hit the apron, we were able to open up it up some. Once we got down, we still had a lot of work to do to get out. Above, Eric tries to figure out the most efficent way out of here. In better snow years, this whole area is covered in snow. 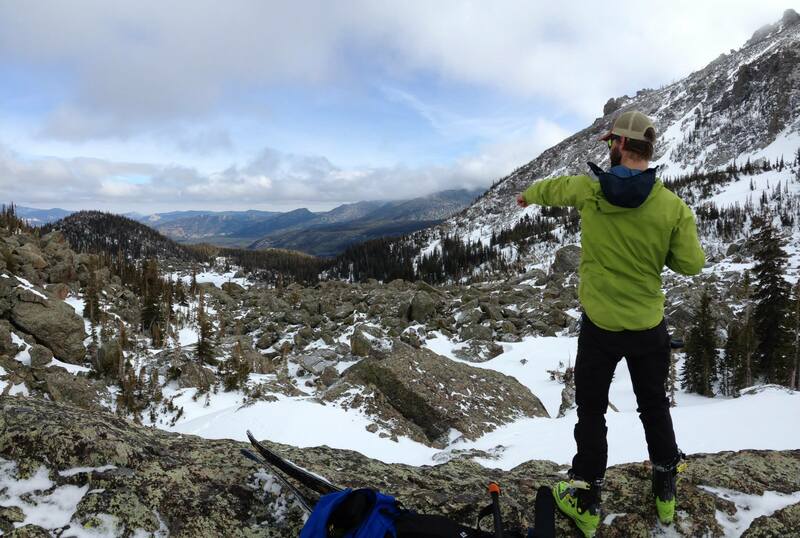 Once we navigated thru, we climbed up and over the ridge to the top of the Dream Chutes. We skied variable snow down to the lake and back out the the car and enjoyed an Upslope Brown Ale on the tailgate of my truck to end the day.